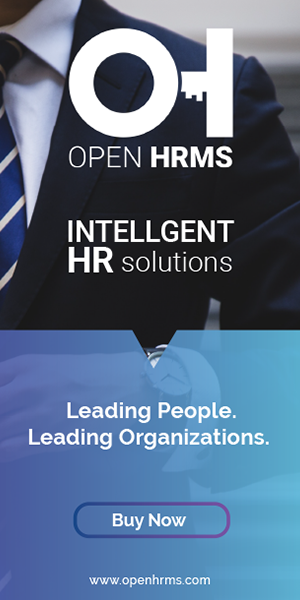 Open HRMS is a complete suite of management application for efficiently and effectively managing one’s human resource. It has all the robust features that are inevitable and crucial of looking after and managing the internal and external human resource functions. This blog discusses Open HRMS GOSI Contribution module. Open HRMS Saudi GOSI Contribution is constructed for the organizations in Saudi Arabia. GOSI is a Saudi Arabian government agency concerned with social insurance in the country. This module handles the GOSI contributions from the Saudi employees and employers in Saudi Arabia. Basically, the GOSI contribution is only applicable to Saudi citizens and who are in the age group between 18 and 60. This module helps to create GOSI contributions in the salary payment by satisfying the conditions of the GOSI contributions. > Created separated salary structures for Saudi citizens and overseas peoples. > Added payslip lines for employee contribution and company contribution. > Provides pdf reports for two new contribution registers that are “GOSI Company Contribution” and “GOSI Employee Contribution”. > Install module ‘Open HRMS Saudi GOSI Contribution’ from odoo app store. > Place it in your custom addon folder. > And run it in a private window. > In order to create GOSI details for employees, firstly the employee should satisfy the age limit condition. If he satisfies, the employee form will open as below. > Now select the “GOSI Information” menu to fill the GOSI details. Type: Which specifies the type of the GOSI, here we choose ‘Saudi’. GOSI Number: The unique GOSI number provided to the employee. Issued Date: The date in which GOSI Number is issued. > After that click on the ‘Contracts’ in the Employee form and then create a new one and while selecting the ‘Salary Structure’ choose that according to the ‘Nationality’ of the employee. > Next we have to create the payslip to the employee for that click on the menu ‘Payroll’ and click ‘Create’ to make a new one and then choose the employee in the ‘Employee’ field and click on the button ‘Compute Sheet’. Here we can see that two new payslip line entries are created which are ‘GOSI Contribution For Saudi Employee’ and ‘GOSI Company Contribution For Saudi Employee’. If someone needs to be updated with newest technologies, therefore, he must go to see this website and be up to date every day. Hello there! I could have sworn I've been to this site before but after browsing through many of the articles I realized it's new to me. Regardless, I'm definitely delighted I stumbled upon it and I'll be book-marking it and checking back frequently! Good post. I am dealing with a few of these issues as well.